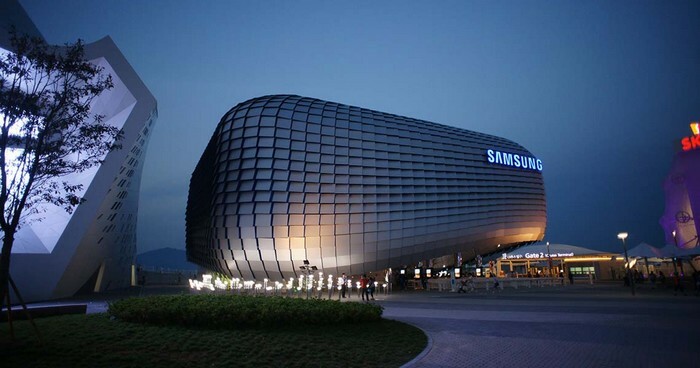 Home Technology SAMSUNG TO SELL THE SHARE TO THE DUTCH SEMICONDUCTER MAKER!!!! SAMSUNG TO SELL THE SHARE TO THE DUTCH SEMICONDUCTER MAKER!!!! Tech giant Samsung Electronics Co Ltd said on Thursday it is selling some of its shares in Dutch semiconductor equipment maker ASML Holding NV . A term sheet seen by Reuters showed Samsung is selling about 6.3 million shares in ASML for about 606 million euros. Samsung did not elaborate on financial terms. The South Korean firm said the sale will not affect the strategic partnership between the two companies. Samsung said in a Aug. 16 regulatory filing it owned a 2.9 percent stake, or 12.6 million shares, in ASML. Tech giant Samsung Electronics Co Ltd said on Thursday it is selling some of its shares in Dutch semiconductor equipment maker ASML Holding NV . A term sheet seen by Reuters showed Samsung is selling about 6.3 million shares in ASML for about 606 million euros. Samsung did not elaborate on financial terms. The South Korean firm said the sale will not affect the strategic partnership between the two companies. Samsung said in a Aug. 16 regulatory filing it owned a 2.9 percent stake, or 12.6 million shares, in ASML.